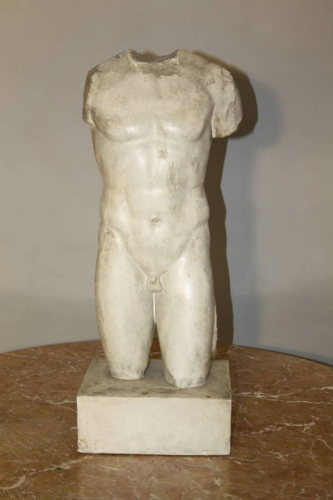 A plaster male torso. Stamped with tag from the Louvre, Paris collection. C20th.